It's a great time to cut the cord. In the brief time that streaming devices have been "a thing," they've gone from a fun novelty to almost a necessity. How else are you going to watch TV on your TV after you've cut cable, if not by streaming Hulu or Netflix? Now that they're a fabric of most of our lives, businesses know they can leverage these things to get us into their stores. So, come Black Friday, deals are going to be plentiful. 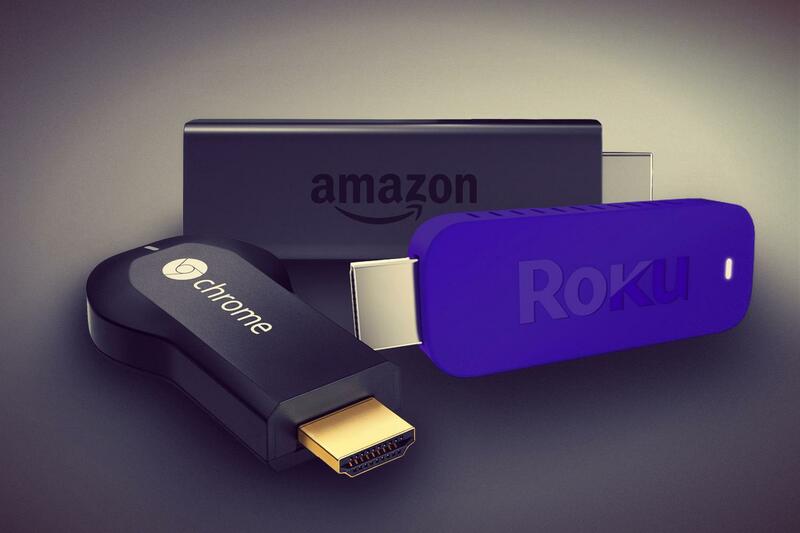 We've rounded up your best bets for nabbing a great deal on a Roku, Apple TV, Fire TV, or Chromecast this year. There are certainly cheaper streaming devices out there (even cheaper Apple TVs, if you see the entry below); however, if you're all about Apple and all about being the guy with the top-of-the-line devices, then we'd say this is the best — and only — deal out there on this device. That said, at $19 off, it's a modest discount compared to our predicted Black Friday price of $135 for the 32GB model; however, a deal on the less-expensive model could still come next week. This deal settles in at our $75 prediction, so we're fairly confident that this will be the best price you'll see during Black Friday. To add a layer of suspense, Amazon says this deal will go live at some point "between November 20 and Black Friday"; on the other hand, you'll know exactly when to line up at brick-and-mortar stores to get those other deals. Though $5 more than we predicted for this device, it sure is available everywhere, so it might be the easiest streaming device to pick up in-store this Black Friday! Alternatively, Amazon will sell its Amazon Fire TV Stick with Voice Remote for $35 ($15 off) online at some point between November 20 and Black Friday. They are the only store, so far, to offer a deal on this model, if you prefer the upgrade. Up until this month, there was no such thing as a Roku SE. This Black Friday-specific model was announced already "discounted" to $25, casting doubt on the validity of its "list price" of $50. But the model seems akin to the specs for the Roku 1, which also costs $50, making that $25 discount a pretty sweet deal. Plus, hhgregg puts all the rest to shame by knocking an extra $5 off on top of that; getting a Roku for $20 is fantastic. We predicted that this device would hit $30 this Black Friday and if you kinda tilt your head, squint your eyes, and count the $10 Hulu credit as a $10 savings, we've totally nailed this one. Not a Sam's Club member? hhgregg, Office Depot / Office Max, and Meijer will also sell it for $40 on Black Friday, just without the Hulu credit. This is $20 off and within $5 of our prediction for this player. However, the biggest differentiator between this model and the cheap-o Roku SE above is that this one has voice control. If you can live without that (and all the other little bells and whistles), you might want to save the $60 and opt for the SE instead. We had to pull out a calculator and do the math to realize that half of $50 is $25, meaning that each of the individual devices in this 2-pack meet our predictions. Hooray, us! Even better is that you get a $12 Google Play credit on top of that, so you can immediately start streaming a movie rental to your TV — which is something none of the other streamers on this list can offer. Not a Costco member? Office Depot / Office Max, Staples, Meijer, and Best Buy all offer two Chromecasts for $50, but without the credit. What? No mention of the Roku 4? We're guessing that, given the "special" Roku SE, that is where they want to focus their discount this year. However, on Roku's site, they did leave the hint that "promotions on other popular Roku streaming players may be offered during the Black Friday weekend." Tease! Excited for Black Friday deals? Consider subscribing to the DealNews Select Newsletter to get a daily recap of all our deals; you never know when a Black Friday price will be released! You can also download the DealNews apps, check out the latest Black Friday ads, or read more buying advice. I thought the Roku 2 lacked Ethernet, but I see now that depends on whether one is looking at the older model or the newest one. What about Roku 2? I'm in a location (an urban downtown) where streaming via wifi is completely useless. Roku 3 seems a bit over the top for my needs though. $66 for a Roku 2 at Best Buy right now, and I got a $20 off coupon from Visa Checkout. BTW, I'm surprised at how little's been said about Roku SE not having an ethernet connection. I can't be the only person who equates streaming over wifi with "please wait, connecting" or never ending "loading" screens, am I?